Are you a bike fanatic or connoisseur? and planning to buy a bike by the year 2019. Then this 2019 year is a great year, as the various domestic and international automobile manufacturers are planning to throw their flagship products with displacement above 500cc to their likes, something really new, really extravagant for which audience is waiting. Here we are offering the list of those new expected and upcoming above 500cc bikes in the Indian market that will bake the Indian tarmac this year. 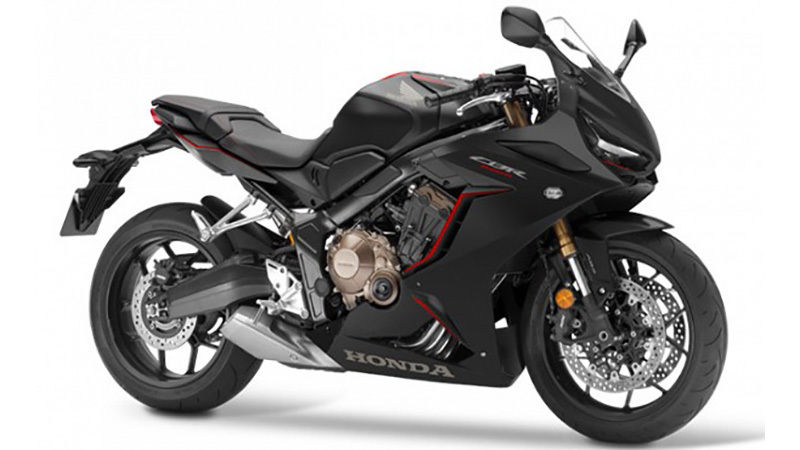 2019 Honda CBR650R is the global replacement of the CBR 650F. Here in India, it is probable to debut in June 2019. However, the bookings for the model at the Honda Wing World dealerships located across 22 cities, has commenced at the token amount of INR 15,000. While the pricing for the CBR650R which will hit the country via the CKD route, be around INR 8 lakh, ex-showroom. With aggressive styling shared from its elder sibling the Fireblade, the sports tourer features all-LED dual headlamp setup, clip-on handlebars, digital LCD display and others. It gets powering from a 649cc liquid-cooled four cylinder, DOHC engine. The churned power output stands at 95PS and 64Nm via a mated 6-speed gearbox with slipper/assist clutch. CF Motor is the best Chinese-made motorcycle which caters the adventure tourer segment. Here in India, it is expected to launch around October 2019 at an estimated price tag of INR 6 lakhs. 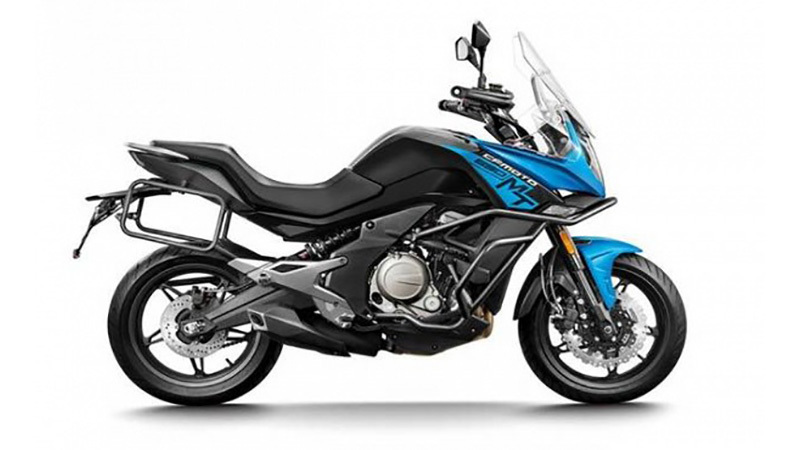 With the equipped components such as 18-liters fuel tank, USD forks up-front and rear monoshock suspension, the motorcycle is capable of attaining its aim of traveling long distances for which it crafted. While beneath the fuel tank, CF Moto MT it comes packed with a 649cc parallel-twin liquid-cooled engine which makes out 70bhp of power at 7000rpm and 62Nm of peak torque at 7000rpm. All the power is sent to the rear wheel via a coupled six-speed gearbox transmission. 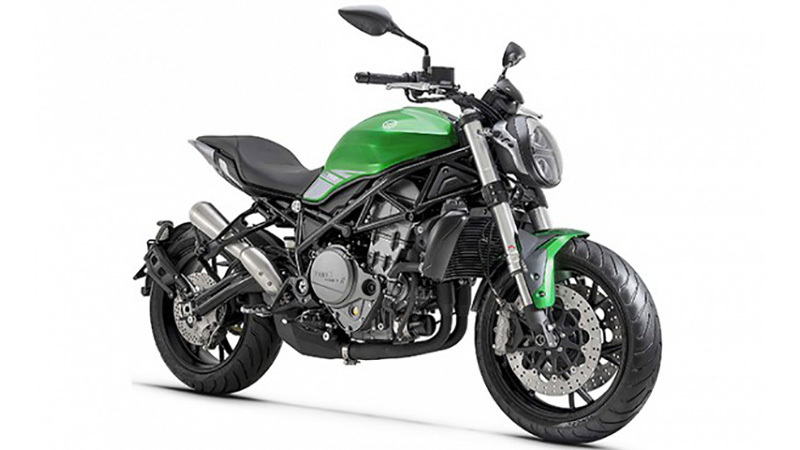 Benelli 752S is a new middleweight naked bike from the Italian marque. Here it is expected to launch anytime by the end of this year. It is a heavy bike with the 227kg weight when the 14-liters tank is fully filled up. Under the fuel tank, it is powered by a 750 cc, DOHC, four-valve, a parallel-twin engine which churns out The new Benelli 752 S will be powered by a 750cc, DOHC, four-valve, parallel-twin engine that makes 75 bhp at 8500 rpm and 66 Nm at 6500 rpm. The engine comes mated to a six-speed gearbox transmission. It rests on a tubular steel trellis frame which further suspends over a 50mm Marzocchi upside-down front fork and a 45 mm monoshock at the rear which offer spring preload adjustability. While braking is handled by dual 320mm semi-floating discs up front and a single 250mm with single piston caliper. Also, it comes integrated with a Brembo system which ensures safety for both the rider and the pillion. 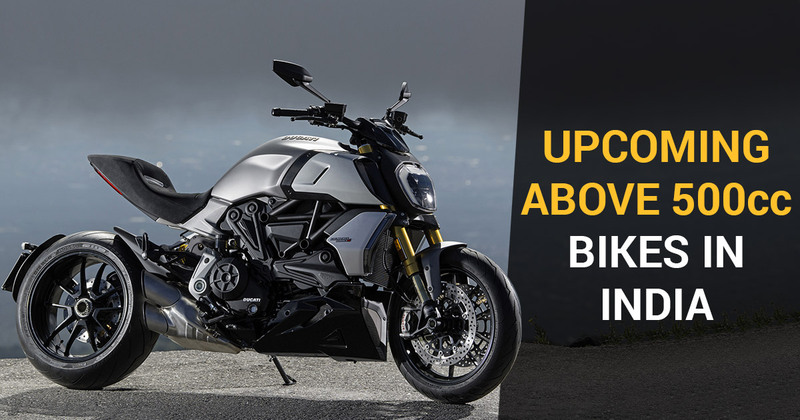 Ducati Diavel 1260 is a power cruiser which is slated to launch in India around August 2019. It will be tagged with an estimated price tag of INR 16.60 lakh. As compared to the earlier model, it is sharp and intense in looks and comes featured with LED headlamp, and LED turn indicators which are neatly studded into the radiator shrouds. Among new features, it gets a digital TFT screen with a multimedia system and keyless ignition. The powertrain has also been improved with the introduction of more powerful 1262cc DVT L-twin motor which is rated to develop more power and torque over the current model. 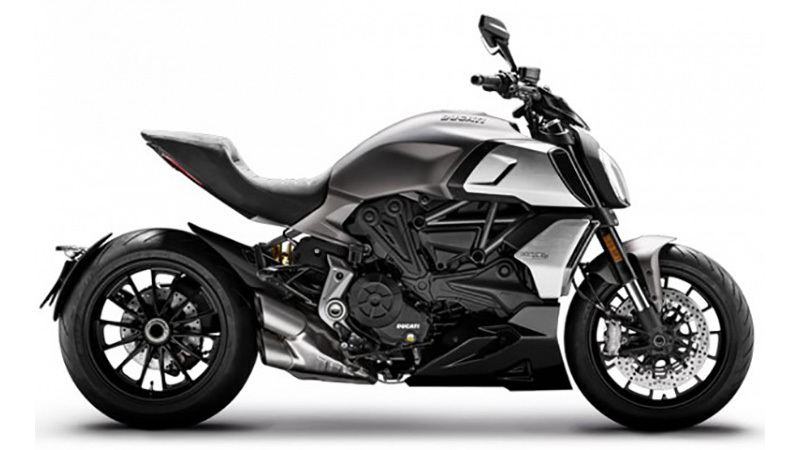 In terms of pricing, it would be costlier around INR 50,000 over the current Diavel which priced at INR 16.1 lakh ex-India. 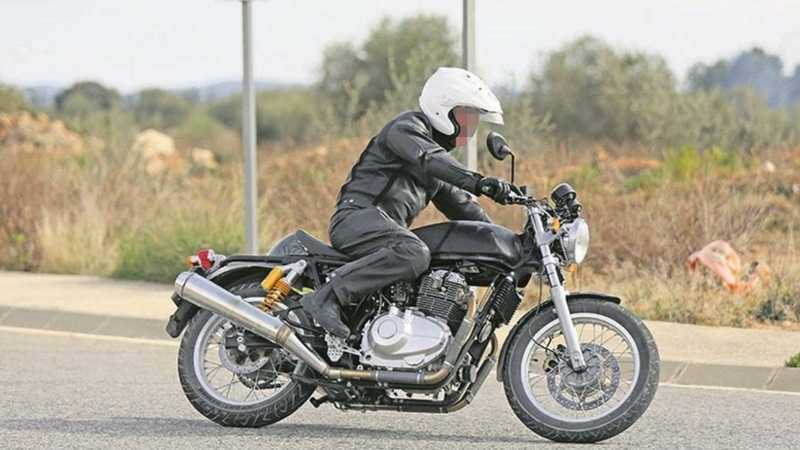 Royal Enfield Continental GT 750 is an upcoming flagship product from the Chennai-based cruiser bikes manufacturer. Apparently, it shares design and styling cues from the ongoing Continental GT 535. Yet, there are some differences at equipped fitments such as shared club man handlebars and single digit rev count tachometer from the European-spec model. Other than this, the motorcycle powered by a 750cc, parallel twin motor could also get dual exhaust setup, slight higher placed rear indicator and left-hand side placed chain and sprocket, which is far different from the GT 535. Honda CBR500R is a middleweight motorcycle from the Japanese giant, which is the part of the new Honda 500cc trio which also encompasses the CB500F and CB500X. The fully faired Honda CBR500R sports boasts a 500cc motor which is in combination twin-cylinder, liquid-cooled engine to belt out the power of 47 bhp and torque of 43Nm. The mill is paired to a six-speed manual transmission. To absorb the shock it has a 41mm front fork and mono shock at the rear. And for safety measures discs brake at front and drum brake at the rear. 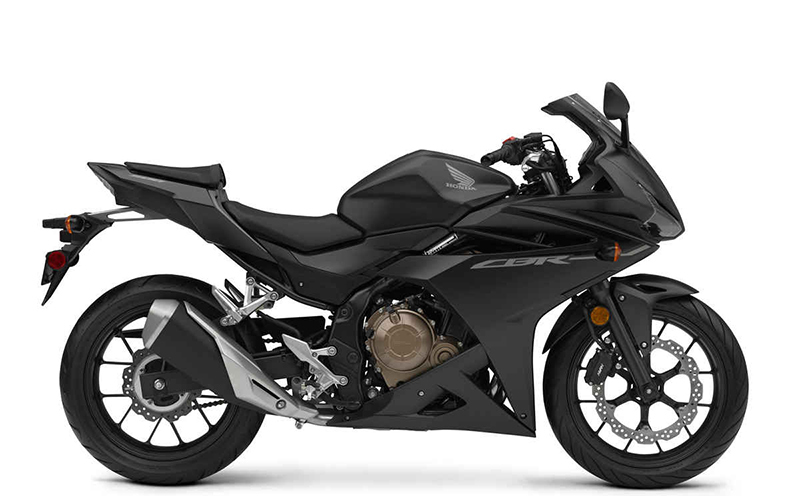 The Honda CBR500R is likely to hit the Indian market with the same price tag of RS. 4.1 lakh in the UK if it comes through the CKD route. The Harley Davidson may produce the Harley Davidson Street 500, the most economical motorcycle in the country after the Harley Davidson Street 750 of the Street series in India. The Street 500, probably be carrying the price tag between Rs 3.25 lakh to Rs. 4 lakh and may come in India by the end of this year. 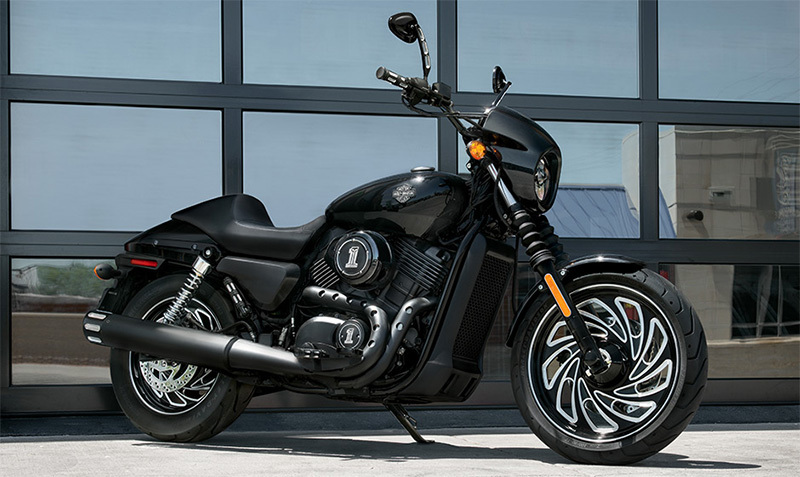 The Street series is the part of the Dark Custom range of Harley Davidson which is targeted to the young riders who loves more lighter, faster and agile bikes to commute. Blessed with black pullback handlebars, two in one black exhaust, comfortable seat and others, the Street 500 will get the propelling power from the all-new liquid-cooled 484 cc, four valves per cylinder, SOHC engine which is belted to a six-speed gearbox. The Hero MotoCorp showcased lots of its new concept and arrivals in the coming future at the 2014 Auto Expo. One of the most beautiful creation among them was the Hero Hastur. Engineered by the collaboration of Hero India and its partner, EBR. 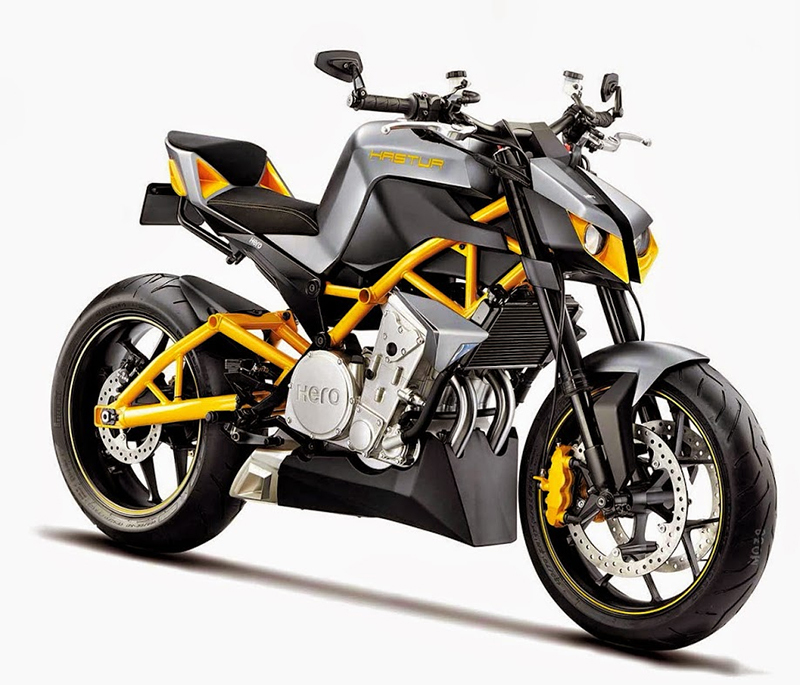 Hero Hastur may be arrived at the expected price tag of INR 5 lakh, to the Indian market by this year. Powering will come from a four-stroke, parallel-twin motor with the 620cc displacement that will generate the max power 79 BHP and a peak torque of 72 Nm. Built around a yellowish trellis steel tube class with an aluminum subframe, Hastur will lock horn with the Ducati Monster 695 and the Hyosung GT 650N.